Dunkin' Donuts and Tim Hortons ruined donuts for us all. When you think "donut," you think a 30-second snack on the morning commute. You think of saccharine chocolate frosting topped with sprinkles. You'll probably tell the cashier, "Black coffee, thanks," because any more sugar leaves a bad taste in your mouth until lunch. 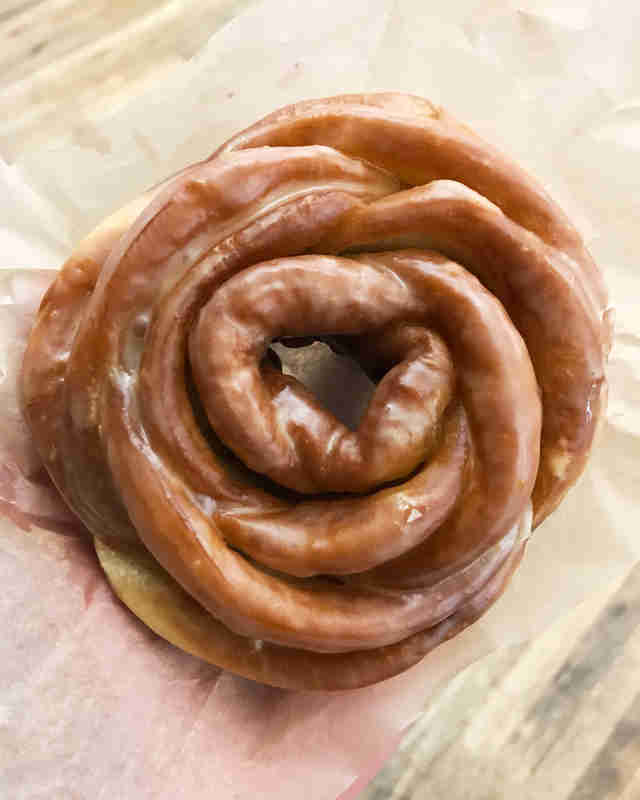 True to its name, the Rose Doughflower (shown in the photo above) actually smells and tastes like walking into into a flower shop, in the best way possible. 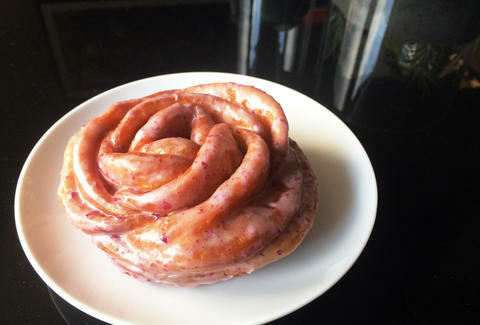 Handmade with edible roses "blended into a rose water glaze," you'll want to eat this donut by pulling it apart, "petal" by "petal." You'll definitely need a napkin or two, or at least the shameless willingness to lick the frosted glaze off your fingers. Doughnut Plant doesn't skimp on the crushed rose petals, which make it all the tastier. If the Rose tastes like a flower shop than this one tastes like an orange grove. Made from Italian blood oranges "with orange blossom water glaze" the Blood Orange tastes citrusy and bright, like peeling an orange without having to worry about getting squirted in the eye. Gun to my head, if I had to pick between the two I'd pick the Rose. Both are sweet options for an afternoon treat on a hot summer day, cold brew optional. You can pick either of these two flavors or Doughnut Plant's strawberry-glazed flavor at one of their New York City locations for $5.